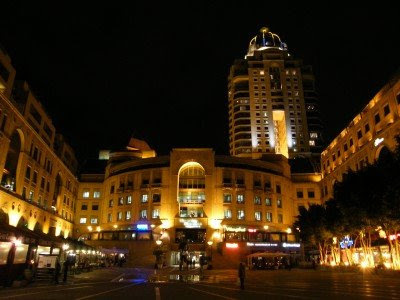 The area of Sandton in Johannesburg is a very upmarket and wealth area. Over the last 20 or so years it has developed from an area consisting of small holdings to being one of Johannesburg's financial and commercial hubs. Most of the development has taken place around the upmarket Sandton City Shopping Centre where I spent the last two and a half weeks on a exhibit stand promoting the Eastern Cape. Connected to Sandton City Shopping Centre is Nelson Mandela Square. 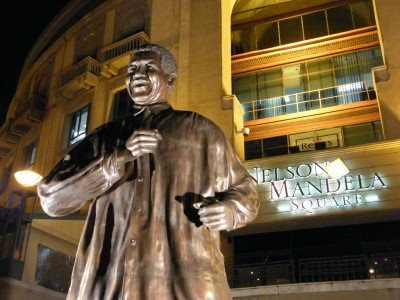 Nelson Mandela Square was formerly known as Sandton Square and was renamed Nelson Mandela Square in 2004 after a 6-metre statue of Nelson Mandela was installed on the square to honour the famous South African statesman. The statue which was sculpted by Kobus Hattingh and Jacob Maponyane weighs 2.5 tons and measures 2.3 metres from elbow to elbow.The shoulders of the statue are 1.7 metres in width and the shoes are 1 metre in length. 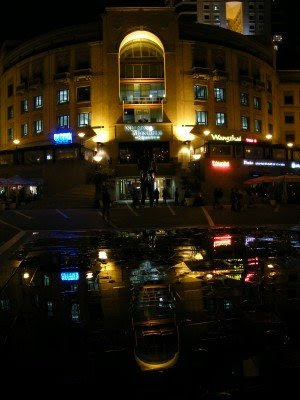 The Square is surrounded by upmarket hotels, shops and restaurants and are used for many different purposes. If no activity is happening, the centre of the square has small fountains which, when turned off, creates a very nice reflexion. The Random ... theme for today is train stations. I'm going to be quiet on the blog for a little while as I am heading to Johannesburg for the next two weeks. The organisation I am working for is exhibiting during the Confederations Cup and I am co-ordinating the stand at Sandton City. See you in a couple of weeks time again. 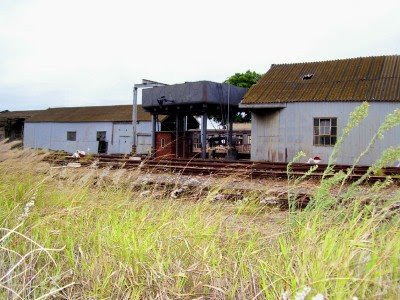 The old Humewood Narrow Gauge station in Port Elizabeth. 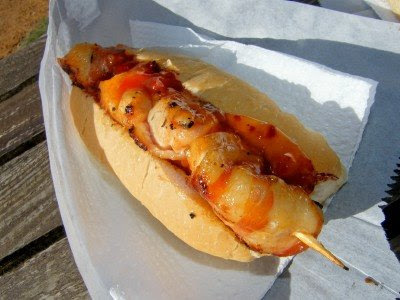 It gets used by the historic Apple Express but otherwise is very run down and in need of lots of TLC. 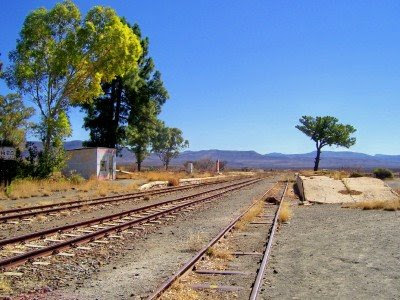 In the old days a lot of small Karoo towns existed around train stations. Today many of those stations are just a shadow of their former selves. 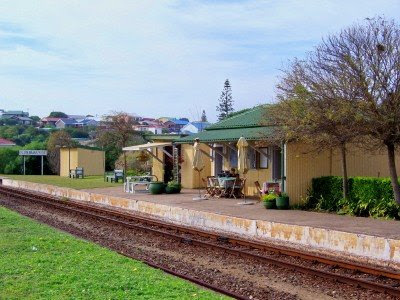 The Klein Brak River station between George and Mossel Bay on the Garden Route is run as a small coffee shop and restaurant. I've stopped there once or twice for coffee and its a super spot just to sit and relax over a cuppa. 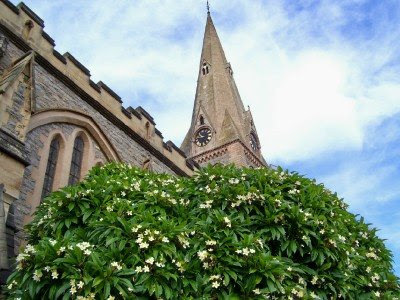 Just two random shots of the Anglican Cathedral of St Michael and St George in Grahamstown. 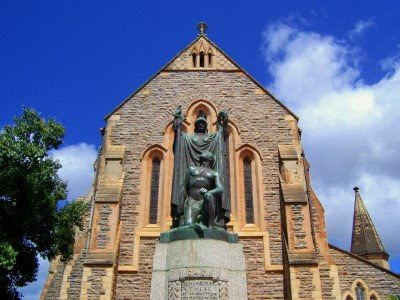 St Andrews College in the town of Grahamstown was founded by Anglican Archbishop Armstrong in 1855. 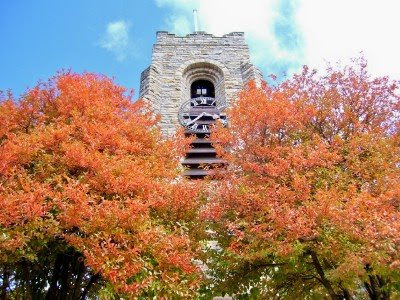 Much of the early architecture was based on stone, one of these being the Clock Tower – a memorial to old boys who fell to the Great War. St Andrews is one of 4 South African schools who have the right to elect a Rhodes Scholar to Oxford each year. 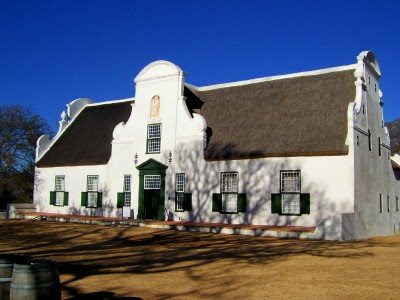 Groot Constantia in Cape Town is the oldest wine estate in South Africa. 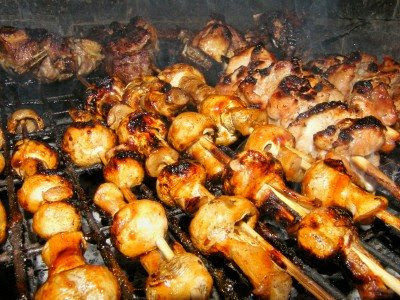 It was established in 1685 by the VOC Governor of the Cape of Good Hope Simon van der Stel, and was used to produce wine as well as other fruit and vegetables and cattle farming. 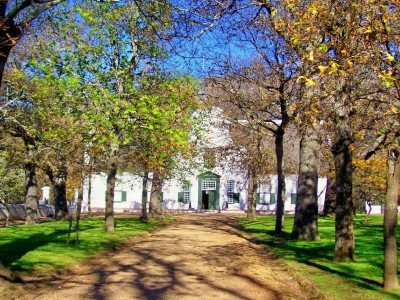 In 1969 the Cape Dutch style manor house became part of the South African Cultural History Museum, and in 1993 the estate passed into the ownership of the Groot Constantia Trust. The exhibition in the house is managed by Iziko Museums of Cape Town. 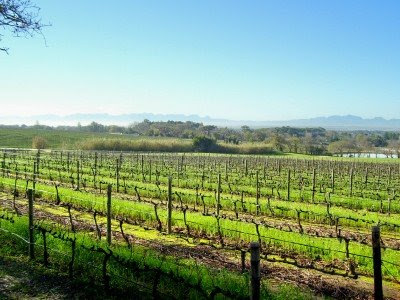 Groot Constantia produces some excellent wines and a visit to the estate would not be complete without a wine tasting session at their visitor centre or a meal at the Jonkershuis Restaurant overlooking the vineyards and False Bay in the distance. 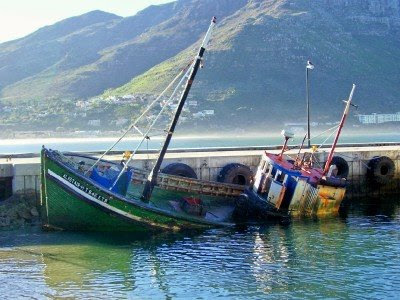 The village of Hout Bay is situated along the Atlantic coastline of the Cape Peninsula. 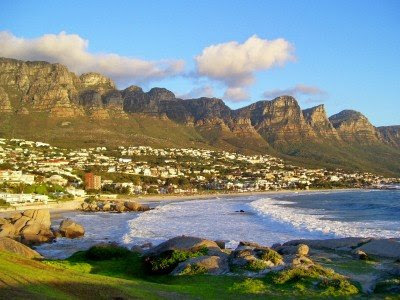 The word Hout means wood in Afrikaans and was named such because of the forest found here when the first explorers discovered the bay. 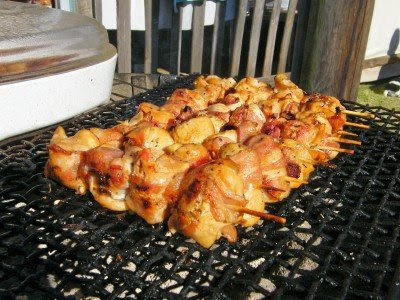 Wood was harvested from the area for boat building and construction purposes. The headland on the left hand side is called The Sentinel because it loos over the bay and its village. 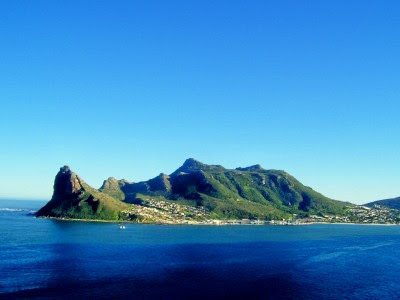 Hout Bay started out as a fishing village all those years ago and still maintains the status even though it has become a popular are to stay and holiday in. 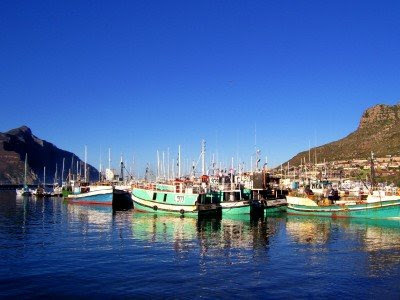 The small harbour contains Mariners Wharf which was the first harbour side commercial waterfront in South Africa. Boat trips from the harbour to Seal Island just outside the bay is a very popular activity with tourists and visitors. Oops. Somebody pulled the plug?